Perfect for girl parties. 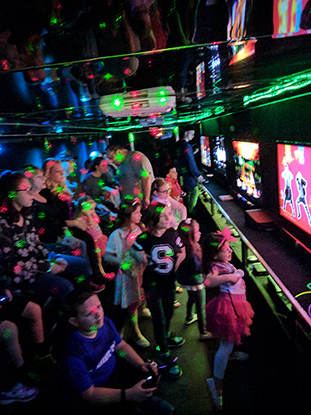 Let your girls play games like Just Dance, Mario Kart, and Minecraft for an hour in our gaming theater and then finish up back inside with one of our Glitter Tattoo artists. 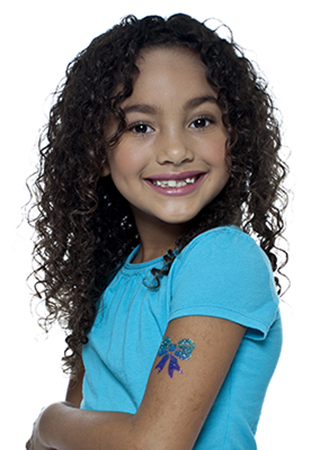 With 100 different designs and 25 color choices, your guests will have a blast designing their own premium tattoo's. *Cosmetic grade glitter is dermatologist tested and hypoallergenic.